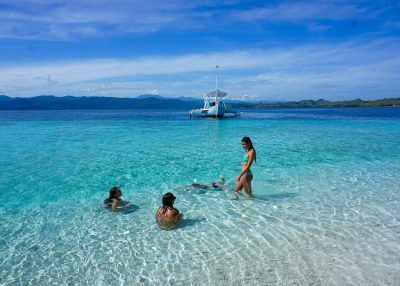 Snorkelling, sightseeing, island trekking, or ….do nothing . The Explorer has it all to keep you busy during the day. When sunset time comes in, just plug in your i pod in the sound system or run our play list …Enjoy the evening dinner, watch an outdoor movie and sip a chilled glass of wine before your night under the thousand stars. 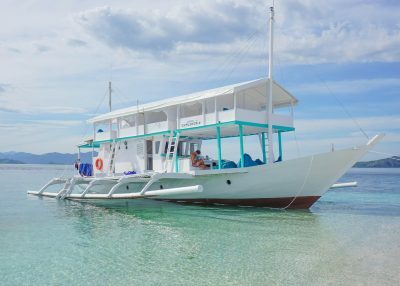 Simplicity at its best, blended with barefoot luxury for an unforgettable island hopping cruise..
Whats the differences between explorer 1,2 and 4? Explorer 4, is identical to Explorer 1 - 2 in look and characteristics but is larger in size, which adds on comfort . 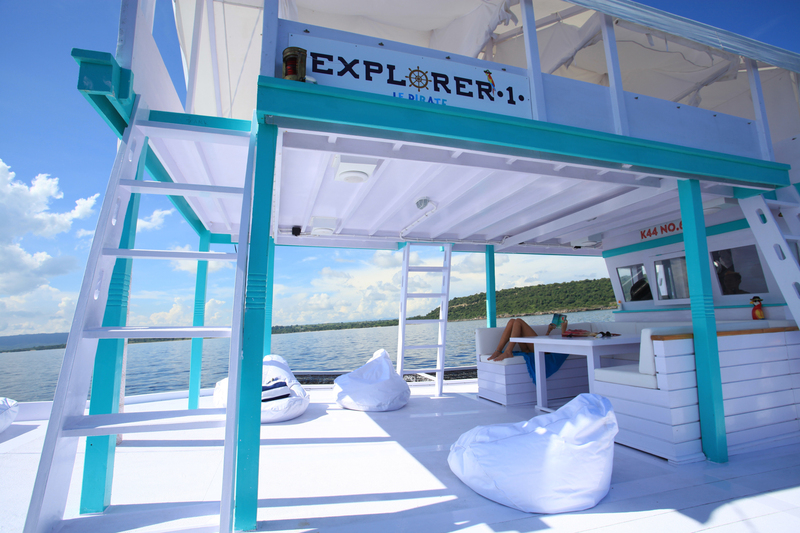 Explorer 4 cabin also bit bigger than 1 and 2 Explorer 4 is fitted with a powerful diesel providing faster cruising speed and longer cruising range allowing a quicker island hopping schedule with longer stay at each stop over . How can I book the boat? What is the differences between upper cabin and below cabin? Below cabin is unlike regular cabin you may see in the website. Below cabin is the cabin on Explorer 4 This cabin slightly cheaper and smaller than regular upper cabin and still add comfort for your stay. Is there any electricity on the boat? 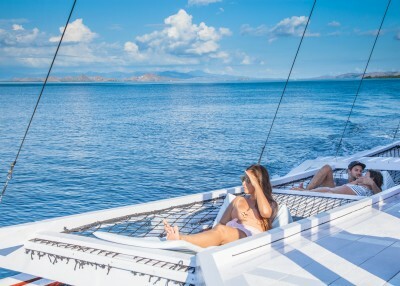 Whats the Komodo national park fee for? Do you serve alcohol on the boat? So im planning to arrive same day as boat departure, is it okay? We always reccomend you to arrive a day before departure to avoid missing your boats departure It is possible you book a flight same day as boat depart, our boat will depart 10 . In case of delayed. 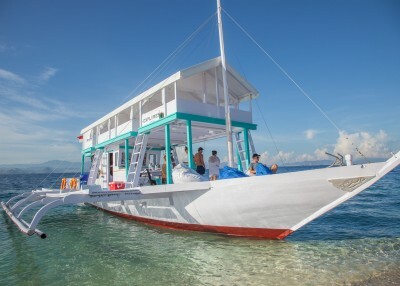 You can hire separate fast boat for late check in.Please note we do not cover the rate for early check out. This cost depend where our cruise located. rate can be up to +- IDR 1,200,000. Can i do early check out? For "CHARTER TRIP" you may do early check out. But you might miss few islands from your trip However for "SHARE TRIP", we will return 4pm. There will be a boat on standby, this comes at an additional cost which you can pay separately. Please let us know in advance when you would like to check out. The rate depends on our boat location and time of check out. Is airport pick up included ? Is kids allow on the cruise? For shared cruises we strictly prohibit kids under the age of 12 years old, unless booking our charter cruises. Is there life jackets onboard? Yes we have life jacket's on the boat and our staff more than happy to take care of you on board. Is there WiFi on the boat ? Is there hot water for shower? Will there be drone footage included ? We do not add a compulsory service charge to the cost of our trips. Tips reflects the good service and experience provided by our local crew who work and make sure you are comfortable on board. CAN I FISH ON BOAT? 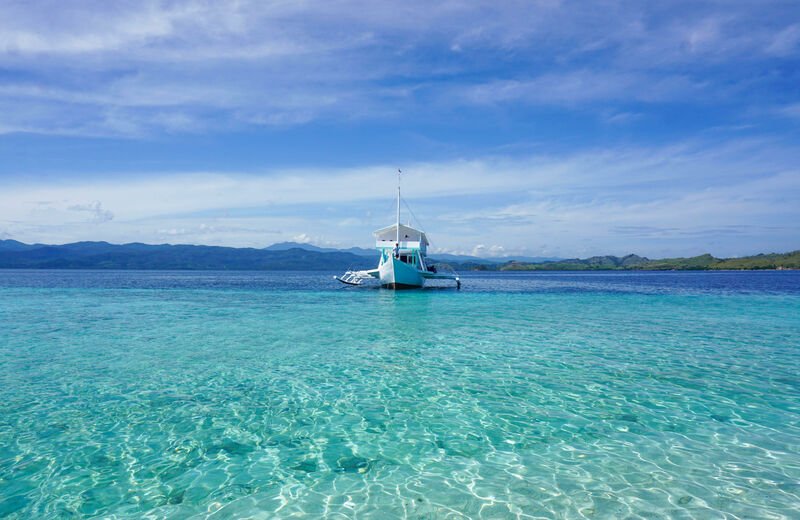 embarked to the adventure of a lifetime through remote islands and beautiful beaches in Flores, Island hopping and sleeps under the stars on the cruise for 3 nights. Breakfast, lunch, dinner on board, water, tea & coffee as well as snorkeling equipment. 1. Komodo national park fee. Any fee into the National Park or Ranger fee’s this can be up to IDR 300,000 per person per day. Payment for these tickets has to be made when you arrive at our meeting point. 3. Accommodation before and after the trip. Please see our reccomendation in “hotel before the cruise” below. 5. Travel insurance to cover any flight delays or unforeseen circumstances out of our control. 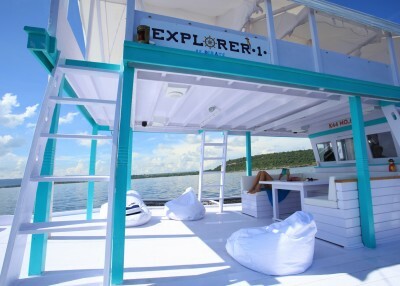 All our Explorer overnight cruises will stop at Le Pirate private island for the last afternoon 2 pm prior to returning to Labuan Bajo: https://lepirate.com/ island/. Please make sure you bring enough Cash money to pay any fee in komodo national park (+-IDR 900,000/pax) Le pirate does not take any advantage of this fee. ATMs are not always be available in the islands. – 50% of the total amount of your stay is mandatory to confirm your booking if it’s more than 60 days before check-in. The balance has to be paid at least 60 days before check-in. – The total amount of your stay is mandatory to confirm your booking if it’s booked 60 days, or less, before check-in. – Our Share trip is not suitable for children under 12 years old. Therefore we strictly prohibited kids at any of our share trip. OTHER INFORMATIONS I SHOULD KNOW? 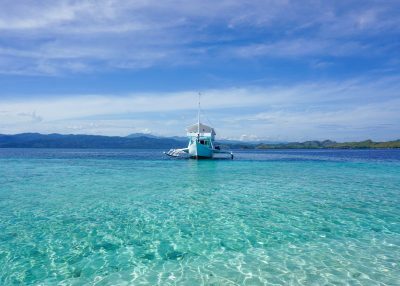 as our Explorer cruise trip are action packed, You are island hopping and moving all the times to see many different beautiful places in Flores. We came up with new itineraries, where the cruise will end in Le Pirate island. 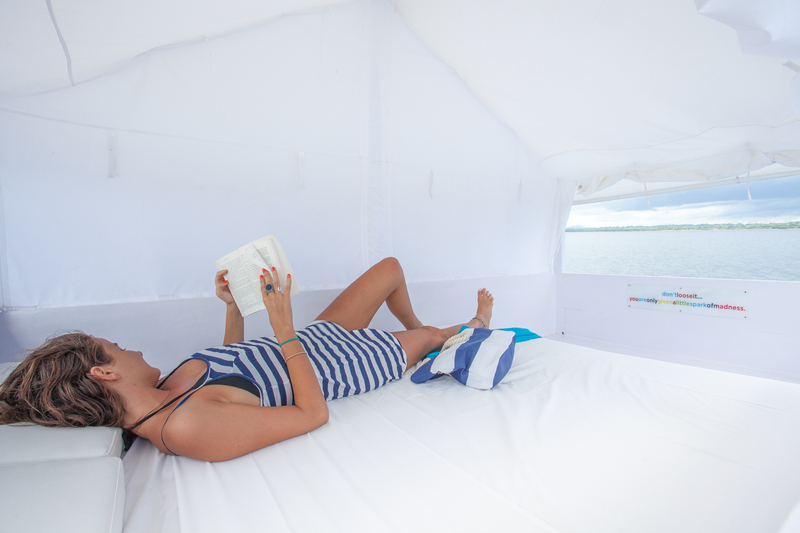 This is for those who wanting a little bit more laid back and glamping experience. 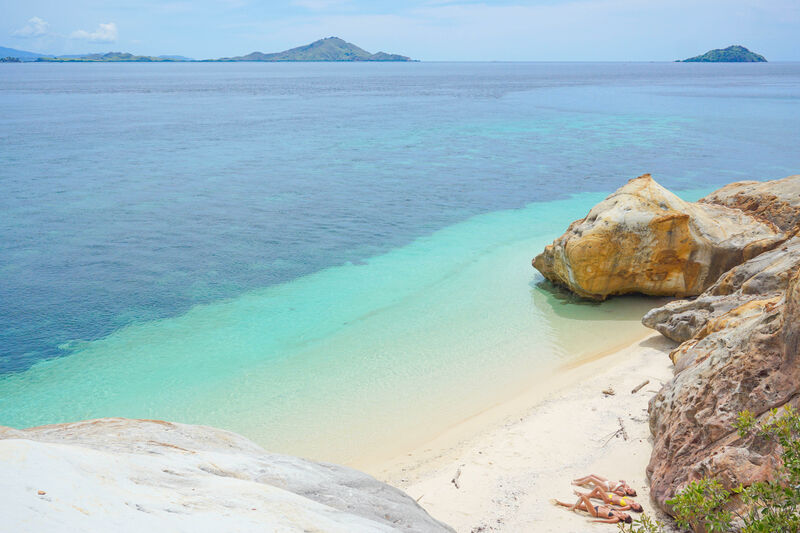 Your journey will end at Le Pirate island, stay in our private island which is surrounded by white sand beaches and one of the top snorkling spot in Flores. 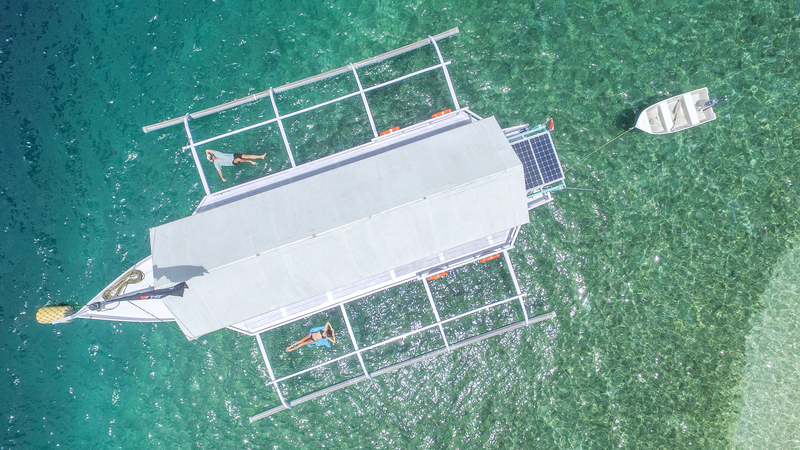 Spend your time to disconnect, chill in our hammock, kayaking, snorkel and plenty other activities in the island. 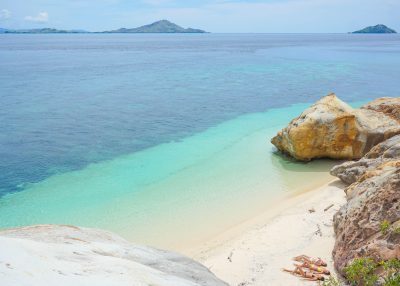 Sebayur- treasure island- EXPLORER 4 will drop you of at LE PIRATE ISLAND , stay for a night at our base camp (hut) and socialise. 3. Accommodation before and after the packages trip. Make sure you book accommodations before and after the packages trip. 4. Crew gratitude (Tipping):We do not add a compulsory service charge to the cost of our “EXPLORER CRUISE”. Tips reflects the good service and experience provided by our local crew who work and make sure you are comfortable on board. 6. Travel insurance to cover any flight delays or unforeseen circumstances out of our control. We urge you to apply travel insurance before joining the trip. 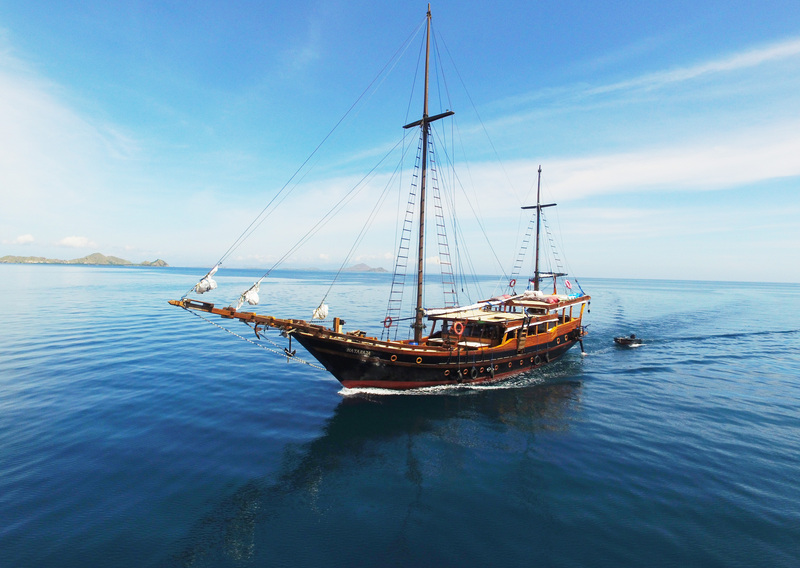 Please make sure you bring enough Cash money to pay any fee in komodo national park (+-IDR 900,000/pax ) Le pirate does not take any advantage of this fee. ATMs are not always be available in the islands. CAN I ARRIVE BY PLANE ON SAME DAY AS DEPARTURE? 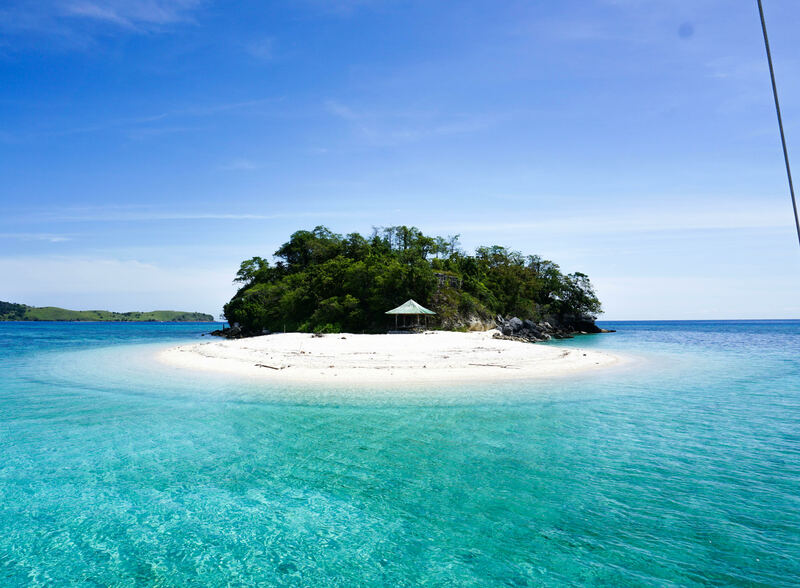 Sebayur, – EXPLORER 4 will drop you of at LEPIRATE ISLAND , stay for a night at our base camp (hut) and socialise. 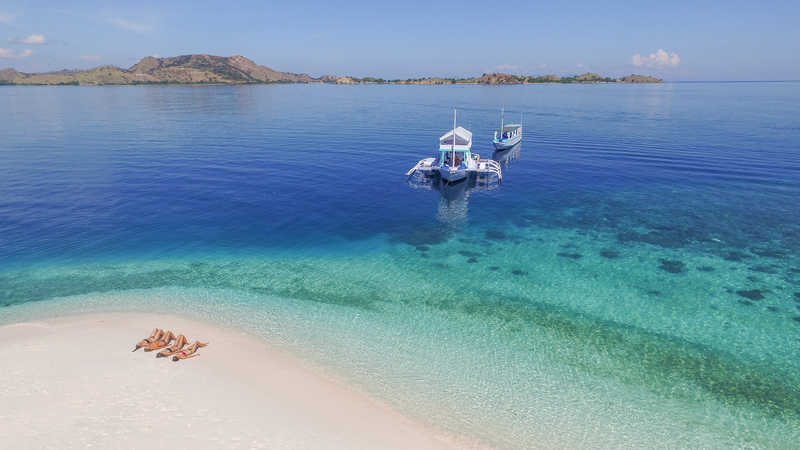 Please make sure you bring enough Cash money to pay any fee in komodo national park (+-IDR 1,200,000/pax ) Le pirate does not take any advantage of this fee. ATMs are not always be available in the islands. 1. What time does the tour depart from the harbour? 2. At what time does the boat come back to the harbour after the tour? 3. Is the hotel pick up included? Airport pick up included only for "charter" cruise, share cruise does not include airport pick up. NOTE: Our hotel is 8-10 minutes car ride from airport to the hotel. There will be plenty of taxi waiting for to take you to our hotel. They usually charged IDR 50,000 /car-IDR 70,000/car. 4. Can I arrive by plane on the day of tour? 5. How far is the airport to the harbour? 6. Where do we go ? Our overnight tours do not cross through the National park and we do not visit the komodo lizards park. This is too long of a sailing trip and too much of a tourist attraction to be enjoyable. We think there are way more interesting islands to explore and fun things to do along the way. We will stop in Kanawa, Sebayur, Bidadari, Bird Island, Waecicu Bay, Kelor, Gusong, Rinca, Mauan, Batubolong, Manta Point, Gili Lawar, Taka Makasar depending on the cruise type you choose. These stop over may differ depending on the weather. In general we sail 1 hour and a half in the morning, pick a mooring for lunch and snorkelling. Sail another hour in the afternoon and take a mooring for the night. 7. Can I hire the whole boat? 8. Is there a sound system on board? 9. Is there AC in the cabins? 10. How about the movie? 11. Do you provide towels and linen sheets? 12. Can I book a package with one night in Le Pirate hotel and a cruise on Explorer 1 ? 13. What shall I bring on the tour? Change of clothes, swimwear, sunscreen. We have got everything else! 15. Is snorkeling equipment provided? 16. Can I fish during the tour? 17. Do I have to tip the Crew on the boat? 18. How many crew will be on the boat ? 19. Is there a first aid kit provided on the tour? 20. Can I charge my hand phone, camera and lap top? 21. Is this boat complete with all safety equipment? 22. What is the maximum guests number you take on the boat? 23. Does the boat has a dinghy to shuttle guests ? 24. Will cold beers be available? 25. 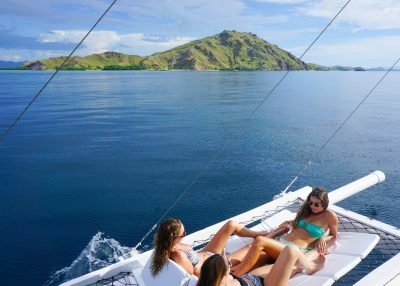 If I really want to see the Komodo dragons, can we sail to the National park ? 26. Can children join the cruise? 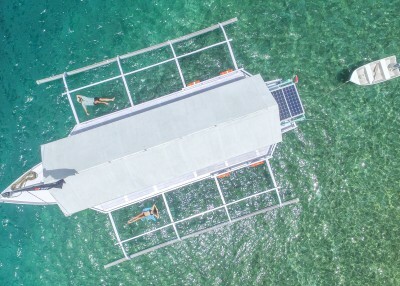 4 tented upper deck cabins fitted with double beds (8 passengers maximum), Western style bathroom, Kitchen to prepare set meals catered by Le Pirate Bajo, Sofa lounge and bean bags on shaded deck, Cinema projector and Sound system, Snorkeling equipment, Dingy for land transfers, Hammock over the water. 3. How far is the airport to the harbour? 4. Is the hotel pick up included? – Airport pick up included only for "charter" cruise, share cruise does not include airport pick up. NOTE: Our hotel is 8-10 minutes car ride from airport to the hotel. There will be plenty of taxi waiting for to take you to our hotel. They usually charged IDR 50,000 /car-IDR 70,000/car. 5. Is there a sound system on board ? 6. Can I book a package with one night in Le Pirate hotel and a day cruise? 7. What shall I bring on the tour? Swimwear, sunscreen. We have got everything else! 8. Are meals included ? 9. Is snorkeling equipment provided? – Sunset Cruise : Sorry…no time for snorkelling on this cruise! 10. Can I fish on the tour? 11. Do I have to tip the Crew on the boat? 13. Is there a first aid kit provided on the tour? Sure we have an emergency kit. 14. Can I charge my hand phone , camera and lap top? 15. Is this boat complete with all safety equipment? 16. What is the maximum guests number you take on the boat? 17. Will cold beers be available? 18. How about the bathroom? 19. Can children join the cruise? Explorer 4 is our newest member of the Explorer family, same design as our previous Explorer’s however larger in size to take you further into this archipelago. Focusing on 4D3N / 5D4N / 6D5N trips, pioneering new destinations. 4 tented upper deck cabins fitted with double beds (8 passengers maximum), Western style bathroom, Kitchen to prepare set meals catered by with your very own cook onboard, Sofa lounge and bean bags on shaded deck, Cinema projector and Sound system, Snorkeling equipment, Dingy for land transfers, Hammock over the water..
Nataraja means “Shiva the lord of the dance” She’s a beautiful 26 meters traditional wooden sailing boat, fully equipped to accommodate group who are keen to do snorkeling, kayaking, and free diving activities. 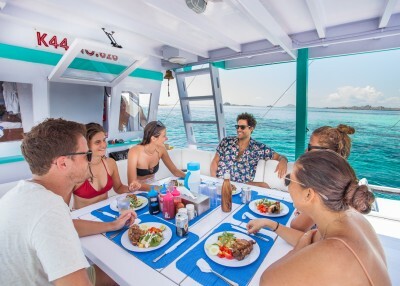 Due to recent demand and not enough availability Le Pirate has joined forces with the team from Nataraja to offer all you pirate the same experience this time on a larger boat. 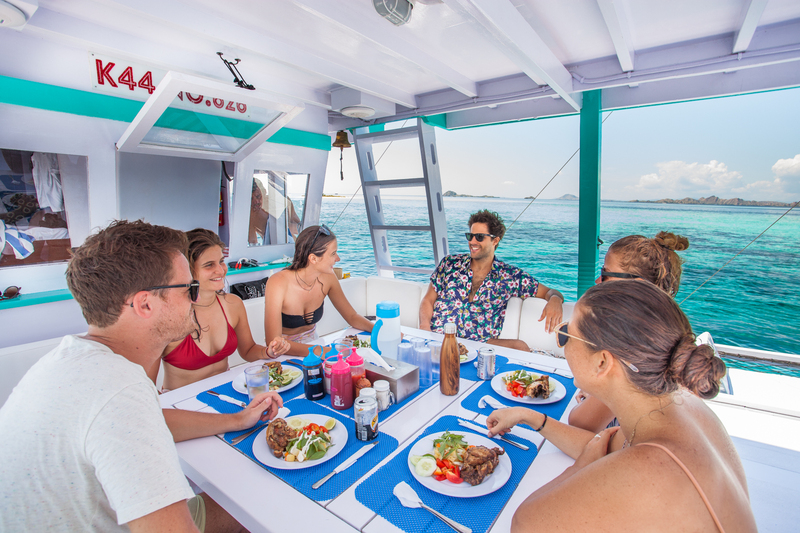 6 private cabins onboard which sleeps up to 14 people at once, take the entire boat to comes as the perfect addition to the Le Pirate Fleets, same vibes, same itineraries, same views & same sunsets. Large living areas to the rear of the boat : large shaded dining table, open kitchen and bar, large lounge at the stern and sundeck on the roof to get sunbath or enjoying the sunset. "There's a little bit of a pirate in all of us."